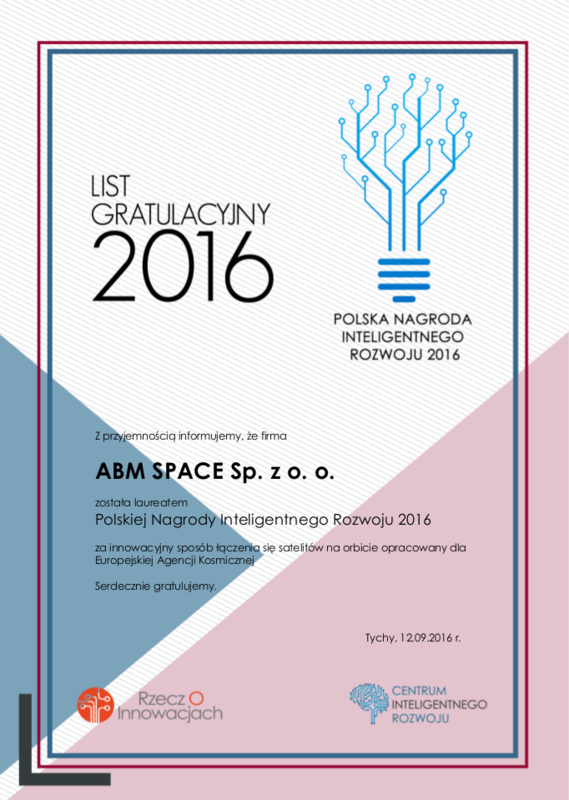 Polish Award of Intelligent Development 2016 – ABM Space Sp. z o.o. It is our great pleasure to announce that ABM Space Sp. z o.o. became the laureate of the Polish Award of Intelligent Development 2016. The awards will be handed during the Intelligent Development Forum (inforum.pl), which will be held on 21st of October in Convention and Exhibition Centre in Jasionka, nr Rzeszów. The ceremony will be held during special gala with the participation of national media. Warmest regards ABM Space team.